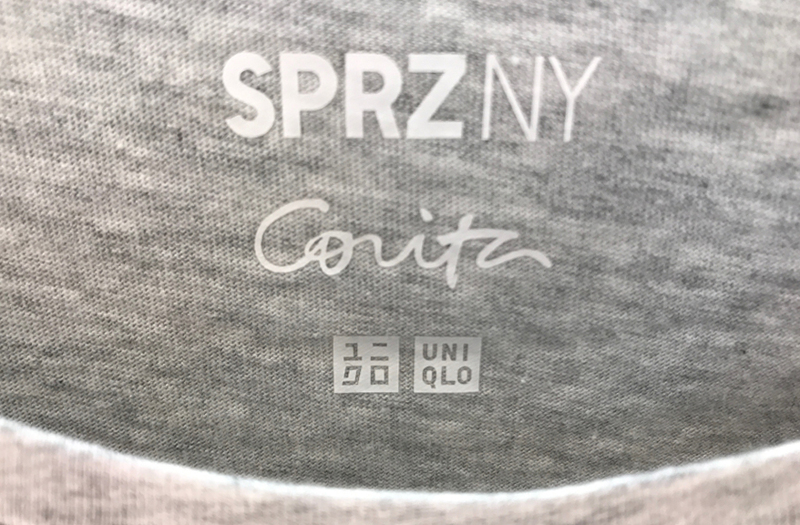 Parham Santana is excited to announce that their client, the Corita Art Center, has unveiled a collection with UNIQLO, the Japanese fast fashion retailer. 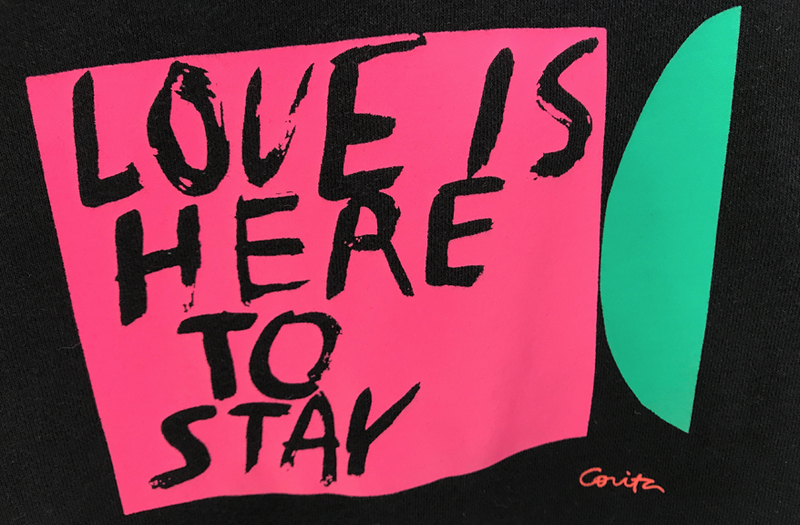 The collection will feature graphics inspired by the works of Corita Kent, also known as Sister Mary Corita, an artist well known for her innovative approach to design and education. By the 1960s, her vibrant serigraphs were drawing international acclaim. Corita’s work reflected her concerns about poverty, racism, and war and her messages of peace and social justice continue to resonate with audiences today. 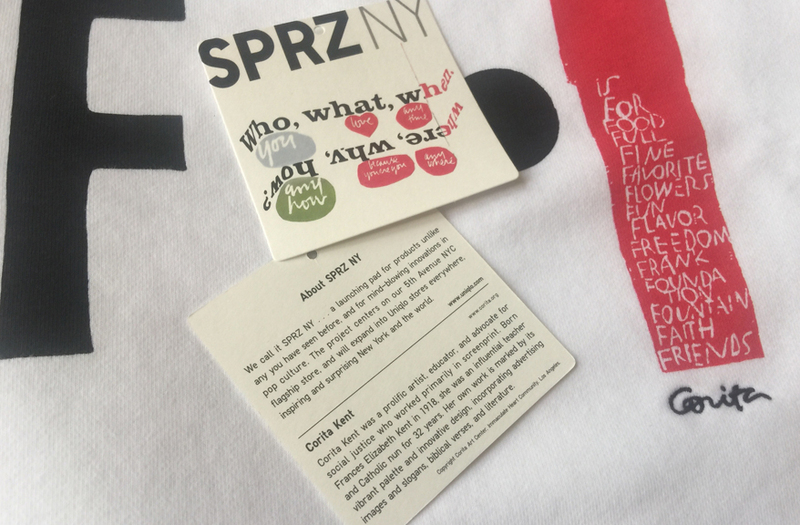 T-shirts and sweatshirts for both men and women are included as part of SPRZ NY, Uniqlo’s global project featuring specially designed items inspired by influential artists. The collection can be found at Uniqlo’s flagship 5th avenue New York City store as well as online. The Corita Art Center preserves and promotes Corita Kent's art, teaching, and passion for social justice. As the steward of Corita's legacy, the Corita Art Center has served as a resource for information about Corita, planned exhibitions around the world, and developed educational programming for the last 20 years. Located in Los Angeles, the Corita Art Center also sells prints from Corita's original editions. Corita Kent (1918–1986) was an artist, educator, and advocate for social justice. At age 18 she entered the religious order Immaculate Heart of Mary, eventually teaching in and then heading up the art department at Immaculate Heart College. Her work evolved from figurative and religious to incorporating advertising images and slogans, popular song lyrics, biblical verses, and literature. Throughout the ‘60s, her work became increasingly political, urging viewers to consider poverty, racism, and injustice. In 1968 she left the order and moved to Boston. After 1970, her work evolved into a sparser, introspective style, influenced by living in a new environment, a secular life, and her battles with cancer. She remained active in social causes until her death in 1986. At the time of her death, she had created almost 800 serigraph editions, thousands of watercolors, and innumerable public and private commissions. 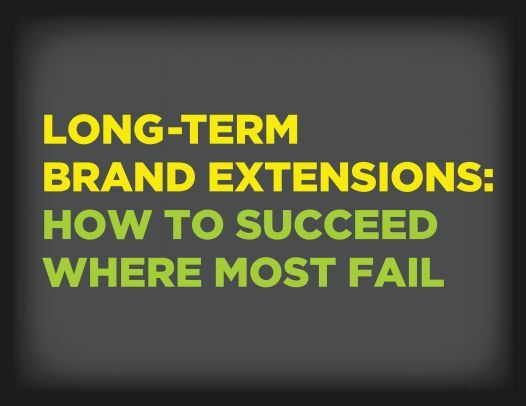 Parham Santana (www.parhamsantana.com), The Brand Extension Agency helps national brands extend and restage in the retail world. 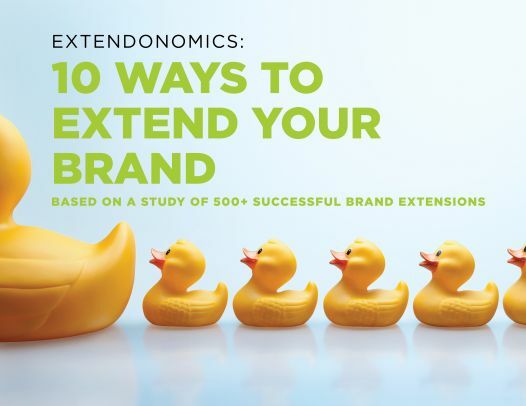 Positioning and brand extension strategies for clients have guided long-term multi-billion-dollar retail programs for thousands of products at major national retailers in every channel of distribution – including Walmart, Kohl’s, and Bed Bath & Beyond. Parham Santana’s clients are among the world’s leading brands, including Food Network, Better Homes and Gardens, Discovery Channel, and American Girl. 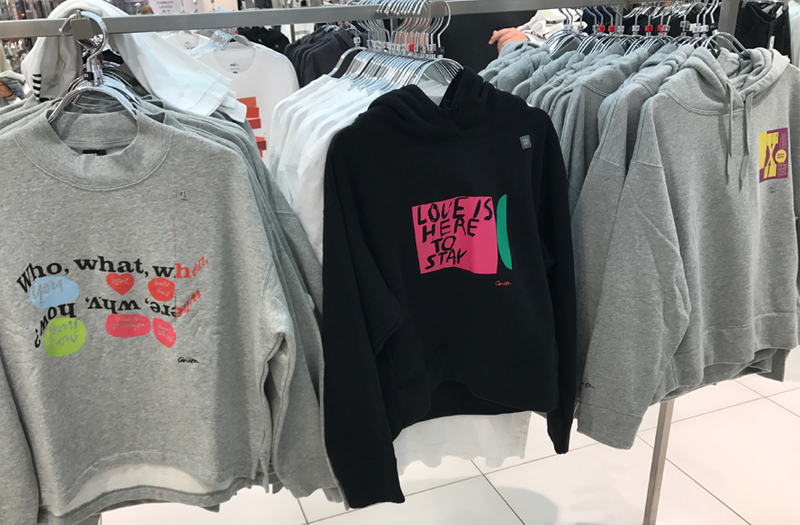 UNIQLO is a brand of Fast Retailing Co., Ltd., a leading global Japanese retail holding company that designs, manufactures and sells clothing under seven main brands: Comptoir des Cotonniers, GU, Helmut Lang, J Brand, Princesse tam.tam, Theory, and UNIQLO. With global sales of approximately 1.7864 trillion yen for the 2016 fiscal year ending August 31, 2016 (US $17.31 billion, calculated in yen using the end of August 2016 rate of $1 = 103.2 yen), Fast Retailing is one of the world’s largest apparel retail companies, and UNIQLO is Japan’s leading specialty retailer. 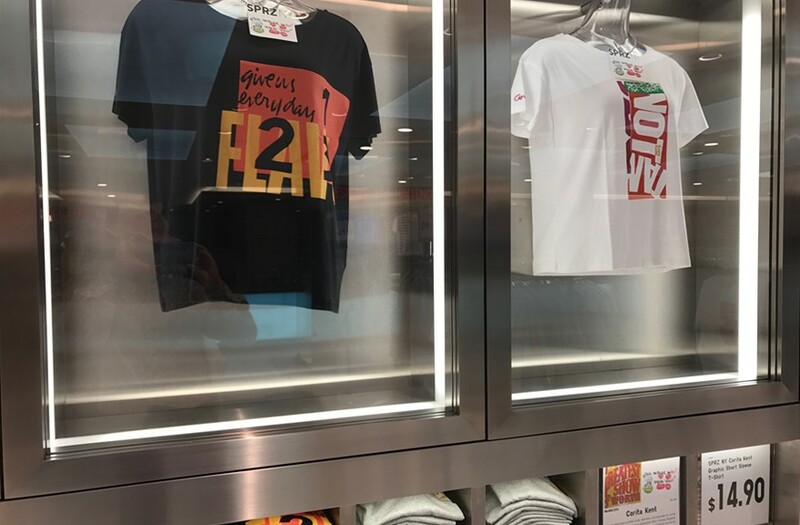 UNIQLO continues to open large-scale stores in some of the world's most important cities and locations, as part of its ongoing efforts to solidify its status as a truly global brand. Today the company has around 1,800 stores in 18 markets worldwide including Japan, Australia, Belgium, Canada, China, France, Germany, Hong Kong, Indonesia, Malaysia, Philippines, Russia, Singapore, South Korea, Taiwan, Thailand, U.K. and the U.S. In addition, Grameen UNIQLO, a social business established in Bangladesh in September 2010, currently operates several Grameen UNIQLO stores in Dhaka. UNIQLO manages an integrated business model under which it designs, manufactures, markets and sells high-quality, casual apparel. The company believes that truly great clothes should be supremely comfortable, feature universal designs, are of high quality and offer a superb fit to everyone who wears them. With a corporate statement committed to changing clothes, changing conventional wisdom and change the world, Fast Retailing is dedicated to creating great clothing with new and unique value to enrich the lives of people everywhere. For more information about UNIQLO and Fast Retailing, please visit www.uniqlo.com and www.fastretailing.com.